Friends and faculty - please congratulate any of the dozen athletes you see here!! 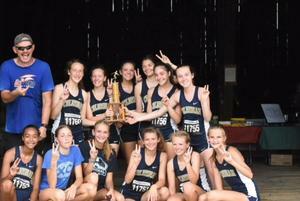 They ran great on September 1st at Ashland, finishing 2nd out of 19 teams! Next challenge is Carnival and we'll be ready to rumble there too. Count on it! We are TC strong. 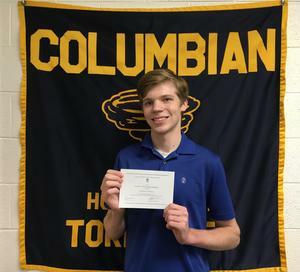 Patrick Pariseau was named a Commended Student by the National Merit Scholarship Program. Patrick is one of 34,000 students with this honor. It is based on his scores of his PSAT test taken last fall as a junior. Way to go, Patrick! 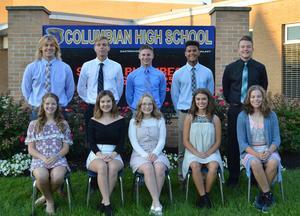 Senior Homecoming Court members were selected during spirit week. Representing the senior class is (front row left to right) Hannah Cooper, Savannah Hagen, Mallory Rife, Tyler Ward, Ariel Hollins. (back row left to right) Parker Johnson, Kerrick Fanning, Caden Blust, Donnell Brockington, Spencer Distel. Homecoming King and Queen will be announced at the football game Friday night.